• What is SBI Rewardz? SBI Rewardz is an Enterprise Wide Loyalty Program initiated by State Bank of India to award its customers with Reward Points for transactions across many banking services. These Reward Points can be redeemed for a wide range of consumer products and services. • What are the benefits of SBI Rewardz membership? State Bank of India customers are rewarded for various transactions across multiple banking services. These Reward Points can be used to redeem a wide range of products and services like merchandise, movie tickets, mobile/DTH recharge, SBI gift cards, airline tickets, bus tickets and many more. The more you transact, the more you get rewarded! • How do I become a Customer? As a State Bank of India customer, you are automatically enrolled as a SBI Rewardz member. All you need to do is activate your account through the website or the SBI Rewardz app available in Android and iOS versions by clicking on “Sign Up” and following the basic registration steps. You can activate your account by visiting the SBI Rewardz website www.Rewardz.Sbi or by downloading the SBI Rewardz mobile app (available in Android and iOS versions). • Is SBI Rewardz open for all customers of State Bank of India? Customers of all banks of State Bank of India (i.e. State Bank of India and the Associate Banks of State Bank of India) can earn points for debit card transactions. Currently, only State Bank of India customers earn points for the remaining channels - Internet Banking, Mobile Banking, Personal Banking, Loans, SME Accounts and Rural Banking. Associate Banks of State Bank of India for the above channels will be merged into SBI Rewardz soon. • Is SBI Rewardz safe? SBI Rewardz is absolutely safe and is governed by PCI-DSS, a security standard followed world over. While doing financial transactions, all information transmitted by you and SBI Rewardz is done through SSL, a secure and safety protocol. • How can I check my Reward Points status? You can check you Rewardz Point by logging in to your SBI Rewardz account on the website or mobile app. All you need to do is have your SBI Rewardz user ID and password. If you have not registered yet, simply activate your account by clicking on Sign Up. • Can I edit my profile, like email address and phone? How can I edit it? No, you cannot modify your details like mobile number and e-mail address online. In order to modify any of your details, please contact your Home Branch. In case you have forgotten your password, click on ‘trouble logging in’ and select ‘recover your password’. Enter your User ID and you will receive a One Time Password (OTP) on your Bank registered email ID and mobile number. Once you have successfully entered your OTP, you will be prompted to type your new password and confirm it. A password change confirmation is sent on your Bank mobile number and email ID. • I have forgotten my User ID. What do I do? Please click on ‘trouble logging in’ and select ‘recover user ID’. For verification purposes, please enter your Customer ID or Debit Card Number and you will receive your User ID on your Bank registered mobile number and email ID. • Can I change my User ID? No. User ID, once selected, cannot be changed. • I registered myself previously. But now, I am unable to login to my SBI Rewardz account as the One-time Password (OTP) is sent to my old mobile number and email ID. What should I do? Going forward, you will have to verify yourself through a One-time Password (OTP) that is sent to the mobile number and email ID as per the Bank’s records. This is only a one-time exercise. Once you have updated your contact information at your Home Branch, you will be able to login to your SBI Rewardz account. • I am unable to register on SBI Rewardz account as the One-time Password (OTP) is sent to my old mobile number and email ID. What should I do? In order to complete your registration, you have to enter the One-time Password (OTP) that is sent to the mobile number and email ID as per the Bank’s records. If the mobile number or email ID that you are currently using are not the same as the details as per the Bank’s records, you will have to visit your Home Branch to update your contact information. Once you have updated your contact information at your Home Branch, you will be able to register on SBI Rewardz. • How do I earn Reward Points? • Where can I earn Reward Points? You can earn Reward Points anywhere in India and overseas by availing State Bank of India banking services. In addition to this, if you shop using your State Bank Debit Card at any of the Max Get More partner brand outlets, you earn additional Reward Points. • What is the value of 1 Reward Point? 1 Reward Point is equivalent to INR 25 Paise. • I have multiple accounts with State Bank. Will I earn Reward Points separately for each account? As a part of SBI Rewardz, all your Reward Points earned through multiple accounts will be pooled together if they come under a single Customer ID or CIF. For instance, if you have a Savings account, a car loan account and a home loan account from SBI, all linked to a single Customer ID or CIF, all your Reward Points will be pooled in a single SBI Rewardz account. If you also have one or more accounts with any of the Associate Banks of State Bank of India, you will have a separate Customer ID or CIF, and hence a separate SBI Rewardz account. Each Associate Bank will give you a separate Customer ID or CIF. For instance, if you have separate accounts in State Bank of India, State Bank of Hyderabad and State Bank of Mysore, you will have three different Customer IDs or CIFs, and hence, three different SBI Rewardz accounts. • For how long do the Reward Points remain valid? The Reward Points remain valid for 36 months excluding the month of accrual. • How do I redeem my points? All rewards reach you within the delivery time specified on the website. Please verify the date mentioned in the copy of the Redemption Request. If it has been 2 days since the date mentioned, please fill in the details in the ‘my request’ section of the SBI Rewardz website. If you are using the app, you can go to ‘Contact Us’ section and fill in your details. We will contact you within 24 hours. • Can I combine Reward Points and State Bank Debit Card for redemption? Yes! If you do not have enough Reward Points in your account, you can combine your Reward Points and State Bank Debit Card to pay for your redemption. Please restart your computer/ Log in to web page and check my request page. If the redemption request is complete it would reflect on my requests. Alternatively, you can call the SBI Rewardz Service Centre. • What is Max Get More Partner Network? The Max Get More Partner Network is a network of different brands that offer discounts and additional Reward Points to SBI Rewardz customers. • How do I earn Reward Points from the Max Get More Partners Network? You can earn Reward Points by paying for your purchases with State Bank of India Debit card at participating Max Get More Partner brand outlets. • How many Reward Points do I earn with each Max Get More Partner? The number of Reward Points earned vary from partner to partner. To get a complete list of the participating stores/outlets of Max Get More partners, please visit www.maxgetmore.com or download the Max Get More app (available in Android and iOS versions). • Is it possible that some Partners of Max Get More Partner Network offer just discounts and not additional Reward Points? Yes, it may be possible that some partners may only offer Special Discounts and not additional Reward Points. There are those who offer only additional Reward Points, and some who offer both Reward Points and discounts. To avail discounts and/or to earn additional Reward Points you need to make a transaction with your State Bank of India Debit Card. • How do I benefit from the Max Get More Partner Network? Firstly, it helps by giving you additional Reward Points when you make a transaction using your State Bank of India Debit card. This increases your total Reward Points earning opportunity and takes you closer to your FREE gift faster. Secondly, some select Max Get More Network Partners offer discounts also - this gives you greater value for money spent within this network. • Can I redeem at a Max Get More partner outlets/merchants location? Yes, apart from redeeming on SBI Rewardz Android and iOS app or website, you can also redeem your Reward Points for products as per your choice at select Max Get More partner outlets. • I bought something through a Max Get More partner brand store and I want to return it. What happens to my Reward Points? Merchandise purchased at Max Get More partner brand outlets are governed by policies of individual store and the partners. In case return of the products is allowed the equivalent amount of Reward Points would be refunded to your account. • Can I pay the bill of my postpaid mobile? No. Currently, only prepaid mobile and DTH recharge can be done on SBI Rewardz. Once the recharge is completed, you will receive a confirmation message from the operator as well as a mail from www.Rewardz.Sbi. In case of non-receipt of confirmation message, please check the talk-time/viewing limit of your mobile phone service. If the account balance does not increase, please contact our customer service desk with the details of mobile number, time and date of recharge, recharge amount & the Order ID mentioned on your receipt.You can register a complaint with our customer service desk on 1800-209-8500 within 15 days from the date of your recharge. No complaint can be registered after 15 days. • I have done a recharge on a wrong number. Can you reverse my points? Unfortunately, any successful recharge done on SBI Rewardz cannot be reversed. Please check if your operator can help you with this. Our merchandise usually get delivered within 7 days. However, in case of remote regions, the time for delivery may exceed 7 days. Please visit www.Rewardz.Sbi and click on ‘My Request’ in the ‘My Account’ section where you can write your request to us. If you are using the mobile app, you need to go to ‘Contact Us’ section to enter the details of your order. We will get in touch with you. If this happens, we will attempt to deliver the product the next business day once again. Kindly ensure your availability. Please call our customer services at 6000-8500* or 1800-209-8500** in order to have the delivery address changed. This change of address will only be possible if you request for it at the end of the same business day on which you have placed your redemption request. • What should I do if the merchandise delivered to me is not what I ordered? • What should I do if the merchandise delivered to me is damaged or defective? Please write to us on membersupport@statebankrewardz.com with an attachment containing the images of the damaged product. We will get in touch with you. 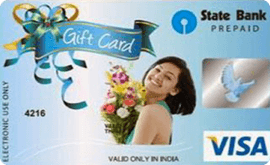 • What is SBI Gift Card? SBI Gift card is prepaid card which can be used at all visa enabled Merchant establishment and POS or e-Commerce transactions. • Can I withdraw cash from SBI Gift Card? 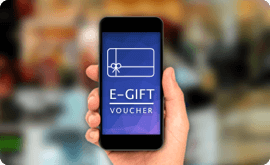 • Can I top up the SBI Gift Card once the balance is exhausted? • How many days will it take to receive my SBI Gift Card? Depending on your geographical location, you shall receive the Gift card in 7-15 days. • I have received my gift card. How do I use it? In order to use the gift card, you need to activate the Gift Card by placing the request of “activate” in the “My Request” section of SBI Rewardz customer page. 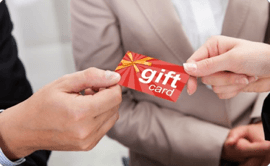 Alternately, you may place the gift card request membersupport@statebankrewardz.com by providing the 16 digit Gift Card Number. Once your gift card is activated, you can use it at all visa enabled Merchant establishment and POS or e-Commerce transactions. • How many days will it take to activate the Gift Card? It will take three working days from the day an acknowledgement of gift card request placed is received. • How do I check the balance of my SBI Gift Card? Yes, you can book domestic as well as international flights on SBI Rewardz. • What is the maximum number of seats that I can book/redeem my Reward Points for? You can book 9 seats at one time if you wanted to book more than 9 seats need to go through all procedure once again but fares will not be guaranteed until and unless it is ticketed. • Can I book a multi–city trip? No, you cannot book multi-city booking at this moment. To book a multi-city travel, you will have to book individual sectors separately. • Can I book tickets for infants on SBI Rewardz? Yes, you can book one infant per adult on SBI Rewardz. The age of infant must be below 24 months on the date of travel. Make sure you carry valid proof–of–age documents at the time of check-in. The infant is not awarded a seat on the flight and has to travel with the accompanying adult. • I entered my payment details and hit submit – and all I got was a blank screen! I got charged but don’t have an e–ticket. What now? We’re really sorry for the inconvenience. In some rare cases, we do not receive the response from the payment gateway on confirmation of payment. In such cases, we would automatically refund the amount charged to your account within 15 days. In case you used your Reward Points to book the ticket, the points will get refunded to your account within 1 hour. We suggest that in such cases, you search and book your trip again. The airline fares are dynamic in nature and are based on availability of the seats on the particular flight. There are always chances that the seats selected by you may get sold till the time you complete the booking. Therefore, to minimize the chances of booking failures, we check the availability of the seats before you proceed with the payment. If you find that the fare has increased at this step, you have the option of going ahead with the booking or refreshing the search. • How do I know my flight ticket has been booked? There is no minimum time frame for redeeming your Reward Points. You can redeem your Reward Points for a flight departing on the same day. • How do I make changes to a flight reservation? • How do I get my e–ticket details? If you have registered with SBI Rewardz, then login to your account with your registered email address and password. After you successfully login, go to “Past Redemption” to view your upcoming trips. Click on the “Cancel” link associated with the respective booking you would like to cancel. If you are not a registered user, you will have to provide the booking reference number, email ID specified during the booking and your complete name to retrieve the booking. You can then cancel the booking. • How do I confirm my seat allotment? SBI Rewardz does not allow you to pre-book your seats either you can call the airline to book your seats (there will be an extra cost) or you can assign your seats at the time of Web Check-In which is usually done within 24hrs of your departure time but before 4hrs of your departure you cannot do also you can do it at airport at the Check-In counter. • How do I generate an invoice for my booking? Your itinerary receipt itself can be used as invoice of booking. Log in to your SBI Rewardz Account with your registered email address and password. Once you successfully login, go to “Past Redemption” to view all your upcoming and completed trips. You can view/print your receipt by clicking on Booking Ref No. • Do I have to pay anything extra at the airport? It depends on the airport you’re flying from. As of now, in India, only Bangalore airport charges a user development fee of Rs.260 per passenger. You can pay by cash or debit card. Cabin and checked-in baggage limits vary from airline to airline. Some airlines have baggage weight restrictions and others have a specific number of pieces permitted. Please note that restrictions on baggage apply to both checked–in bags as well as cabin baggage. Often, you’ll be asked to pay for any checked–in luggage that exceeds the weight permitted. Cabin luggage that exceeds the weight limit is not permitted and will have to be checked in. Please check with your airline. If your tickets are booked and wanted same flight to be booked for your child separately then you need to contact the airline directly. As per the FAA (Federal Aviation Administration), you are not allowed to change or amend the name but few airline do the changes depending on the situation and for this you need to call the airline directly. This is not guaranteed but you can take a chance so you need to cancel the ticket and book another ticket for your travel. • How do I print my ticket? If you are a registered customer of SBI Rewardz, log in to your SBI Rewardz Account with your registered email address and password. Once you successfully login, go to “Past Redemption” to view all your upcoming and completed trips. You can view/print your receipt by clicking on Booking Ref No. If you are not a registered user, you will have to provide the booking reference number, email ID specified during the booking and your complete name to retrieve the booking. You can then print the itinerary receipt or email it to your account. • I have forgotten my Trip ID. What do I do? • I selected the wrong prefix (Mr./Mrs.) to a passenger’s name while booking. How can I get this changed? Just contact SBI Rewardz customer care by calling 1800-209-8500 / 6000-8500 and give your Booking Ref No. We’ll find out if your airline supports title change and if it does, we’ll pass on your details to them. If the airline doesn’t allow title change you’ll have to cancel and then re-book the ticket with the correct title. • Is it possible to book tickets for another person through my account? Yes, just enter the details of the passengers you want to book for when you’re asked to enter traveler-details at the time of booking. • Can I book a special meal through SBI Rewardz? Sorry, SBI Rewardz website currently does not support this feature. Please contact the airline directly. • Can I enter my frequent flyer number at the time of booking? Currently we do not take the frequent flyer number. You can provide your frequent flyer number at the airline counter during the time of check-in. • Do I get Miles on my Frequent Flier Point (FFP) as well if I book a ticket on SBI Rewardz portal? Yes. You get miles on your FFP in addition to the Reward Points that you earn on booking through State Bank Debit card. Please contact your airline with your frequent flier number and flight details to ensure you get your airline FFP miles. • How do I cancel a flight reservation? For cancellation of your flight reservation, you need to call our customer support team at 1800-209-8500 atleast 24 hours before the departure. • If I need to cancel my flight, what’s the latest I can do this by? From our customer service, you can cancel your flight no later than 24 hours before the time of departure. If it’s later than 24 hours, you need to contact the airline directly for cancellation. • The flight I booked was cancelled by the airline. How do I get my money back? Normally the airline would try to accommodate you on an alternative flight in case of a flight cancellation. We strongly recommend that you let us know immediately in case of a flight cancellation by the airline, where you have not been provided an alternative option. The refund generally takes 7 to 15 days for Revenue bookings and 20 working days for Redemption booking (from the day we find out about the cancellation) to get processed. In cases of flight cancellation, the refund process can take about two additional weeks. • What are the cancellation charges? • How will I get my money back after a cancellation? For bookings made using State Bank Debit Card, we will credit the money after adjusting for cancellation charges, back to your Bank account in 15 days’ time. For booking made using Reward Points, the Reward Points are transferred back to your SBI Rewardz account after adjusting cancellation charges. The Reward Points will take about 20 working days to reflect in your account. • How long does it take to process a refund? We usually process the refund within 7 working days of cancellation. However, it may take slightly longer to reflect in your account statement depending upon your bank. We’ve noticed that it takes about 15 working days for most refunds to hit their respective accounts. • It has been 3 weeks since I cancelled my booking and I still haven’t received my refund. Help? If you have not received the refund might be a delay from airline to process the refund because we will also get the refund from airline and then only we will process further. • I booked my flights on SBI Rewardz but then cancelled them by directly contacting the airline. How do I claim my refund? We strongly recommend that you let us know immediately after cancelling directly with the airline. The refund generally takes 7 to 15 days for Revenue bookings and 20 working days for Redemption booking (from the day we find out about the cancellation) to get processed. In cases such as no–show or flight cancellation, the refund process can take about two additional weeks. Yes! This is one of the most important features that we offer! You have the choice of selecting/ changing your seats at every step of the transaction till the time you make a payment. Once a booking is confirmed, you will receive an email/SMS stating the same. • I accidentally booked my tickets for the wrong date/ need to change the date, can you change the tickets? Unfortunately, it is not possible to change your tickets for a different show timing once they have been booked and confirmed. No. As per government regulations, once a ticket has been paid for, it is deemed as sold, and therefore cannot now be replaced or cancelled. You must redeem your Reward Points at least 4 hours before the show timing. For e.g. If you wish to go for a show at 11 PM on 15th of April, you must redeem your Reward Points and make your booking request latest by 7 pm on the same day. • Under what conditions will refunds be provided? Point Plus Cash Refund - In case of redemptions that were done partially using Reward Points and partially using State Bank Debit Card. • What is the refund policy like for SBI Rewardz? In case of transaction failure, where the Reward Points have been deducted and no successful confirmation of the booking has been received, the points redeemed are auto refunded immediately. In case the Reward Points refund has not been received, the customer has to contact customer service to initiate the refund. The deducted Reward Points shall be refunded in 3 working days. Reward Points for the returned products due to damage will be rolled back to the customer’s account within 7 working days from the return date of the product governed by the return policy. If the product has been cancelled due to it being out of stock, quality defects or delays in delivery due to unavoidable circumstances, the Reward Points will be rolled back to the customer’s account within 24 hours of the successful cancellation. In case of transaction failure where the amount has been deducted and no successful confirmation of the booking has been received or populated, the amount charged to the debit card will be refunded in 7 working days. Amount for the returned products due to damage will be credited back to the customer’s account within 7 working days from the return date of the product, governed by the return policy. If the product has been cancelled due to being out of stock, or delay in delivery due to unavoidable circumstances, the amount will be credited to the customer within 7 working days of the successful cancellation of the product. No refund would be provided if the transaction date is prior to 180 days of the date of the transaction. In this scenario, the refund amount would be converted into the Reward Points and will be credited to the customer’s account within 3 working days of the refund request. • Under what conditions a product can be returned? In case of the dissatisfaction with the consumables, nutrition and supplies, the customer can dispose the product at his convenience. There will be a 5 day timeframe to contact the customer support team and request for a refund. In case of apparels, the tags and original packing should be intact while returning the product. Electronic items are bound by the brand’s specific policies regarding repair, exchange and returns. These governing policies will be applicable up on return. Product shall be replaced subject to availability. Electronic items should be returned with their leaflets, accessories, warranty cards, etc. The customer needs to contact customer service within 3 days of receiving the product to initiate the refund. Basis the geographical location, response to arrange for a return pick up will be intimated to the customer in the subsequent 3 days. In case the product cannot be arranged to be picked up, the customer needs to return the product at our service location to The Manager, SBI Rewardz Service Centre at Loylty Rewardz Mgmt Pvt Ltd., 2nd floor, Chhibber House, Saki Naka Junction, Andheri (E), Mumbai - 400072. The cost of shipping has to be borne by the customer unless otherwise specified with a covering letter or email mentioning the order reference. A scan copy of the courier invoice is required to be sent to the customer care email ID to claim for the courier charges. Equivalent points shall be posted in 3 working days of the receipt of the email. • What is the cancellation policy for Point gateway? Point gateway redemption – Customer can cancel the order within the 48 hours from the time order was placed.